The Spanish soprano Nuria Rial and the American countertenor Lawrence Zazzo are both young stars of the booming Baroque music scene and reap the highest praise from the press in their frequent live performances. 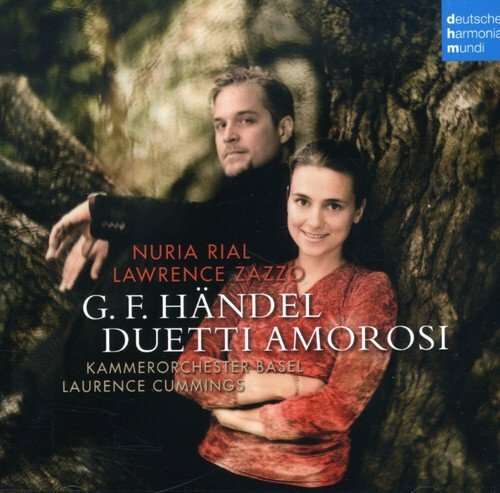 For their first CD with DHM they have recorded together with the outstanding Chamber Orchestra Basel under Laurence Cummings the most beautiful “Duetti Amorosi” from the operas of Handel and complemented by matching solo arias. The selected duets show Handel’s full mastery of expressing different musical emotions, from musical love and lip-service, through deception and marital disputes: from “Caro amico amplesso” (Poro) to “Troppo oltraggi la mia fede” ( Serse), “Ma come amar?” (Muzio Scevola), “Ritorna nel core vezzo” (Arminio) to “Addio; mio caro bene” from Teseo. In these beautiful duets and selected solo arias suitable for the duets, Rial and Zazzo show how musically sophisticated and appealing Handel created these duets and arias, congenially accompanied by the Basel Chamber Orchestra under the inspired direction of Cummings, as director of the London Handel Festspiele a Handel connoisseur.